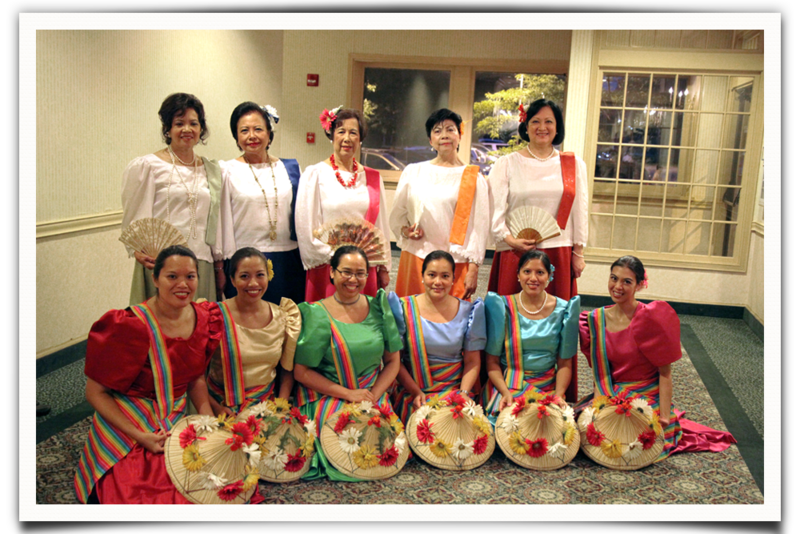 There are many different types of Filipino dances varying in influence and region. Types of Filipino dance include Cordillera, Muslim, tribal, rural, and Spanish style dances. Within the cordillera dances, there is Banga, Bendayan, Lumagen/Tachok, Manmanok, Ragsaksakan, Salisid, Salip, Tarektek, and Uyaoy/Uyauy. The Banga dance illustrates the grace and strength of women in the Kalinga tribe. Women performing the Banga balance heavy pots on their heads while dancing to beat of wind chimes. This mimics Kalinga women collecting and transporting water. Another dance, called Lumagen or Tachok, is performed to celebrate happy occasions. When Lumagen is performed, it is meant to symbolize flying birds and is musically-paired to the beat of gongs. Another cordillera dance, Salisid, is the dance to show courtship. In the Salisid dance, a male and a female performer represent a rooster attempting to attract a hen.